The 49ers are cutting quarterback Tom Savage, according to a team announcement. In related moves, the Niners have activated safety Marcell Harris (story) and linebacker Dekoda Watson from injured reserve. They also promoted cornerback Emmanuel Moseley to the active roster. The release of Savage is a sign C.J. Beathard will probably be active for Thursday night’s game against the Raiders. However, he will not start for San Francisco. Because of a wrist injury that is hurting his ability to properly grip the football, Nick Mullens will throw his first NFL pass and get his first NFL start against Oakland, a source tells Adam Schefter of ESPN.com (on Twitter). Savage, like all players released after the NFL trade deadline, will be subject to waivers. If he is not claimed by Friday afternoon, he will be free to join any team. The Buccaneers and offensive lineman Ali Marpet agreed to a five-year extension earlier today, with the deal expected to be worth $55MM ($27.125MM guaranteed). General manager Jason Licht last said that one of the top items on the front office’s to-do list was signing the 25-year-old to a long-term deal. While previous reports had indicated that the Eagles had given “serious consideration” to a Le’Veon Bell trade, ESPN’s Adam Schefter clarified that that wasn’t actually the case. Yahoo’s Charles Robinson echos that sentiment, writing that the Eagles hadn’t been in pursuit of the Steelers running back. However, Robinson notes that Bell “is a viable option” for Philly after they lost Jay Ajayi to a season-ending injury. For the time being, the Eagles will turn to one of Corey Clement, Wendell Smallwood, Josh Adams, and Darren Sproles (once he returns from injury). Two more practice squad players got raises this week after other teams tried to poach them, as Tom Pelissero of NFL.com tweets. Jets center Nico Falah and 49ers cornerback Emmanuel Moseley are now making $28,235 a week, well above the taxi squad minimum. Given the way they are valued by their respective teams, it wouldn’t be a surprise to see either player promoted to the main roster soon. The Lions expect to see offensive lineman T.J. Lang back on the field at some point this season. 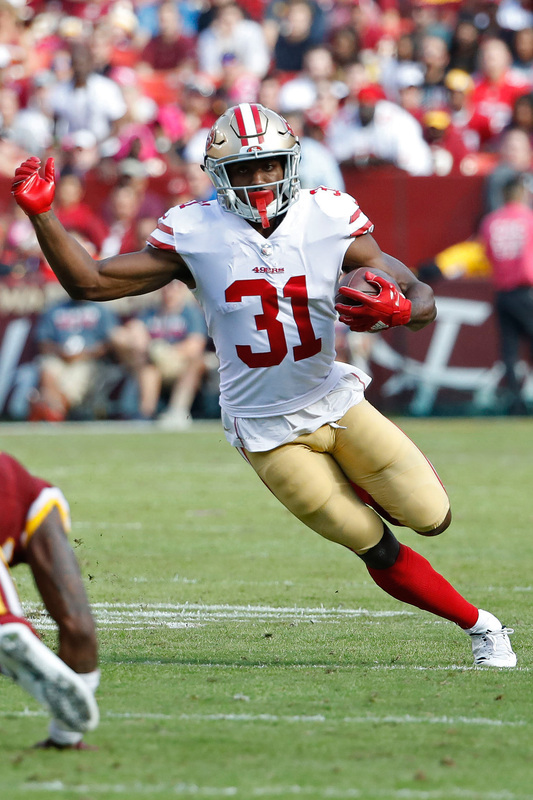 McFadden was clearly a high post-draft priority for the 49ers, as the club handed the ex-Seminole largest known guarantee among undrafted free agents league-wide. He’ll receive a $20K signing bonus and a $70K base salary guarantee, according to Tom Pelissero of NFL.com (Twitter link). While each NFL team is allowed to distribute roughly $100K in signing bonus to UDFAs, there is no limit as on base salary guarantees. McFadden played in 13 games for Florida State in both 2016 and 2017, and earned All-ACC honors during his sophomore campaign. A former five-star recruit, McFadden has a long frame that helps him excel in press coverage, per Lance Zierlein of NFL.com.